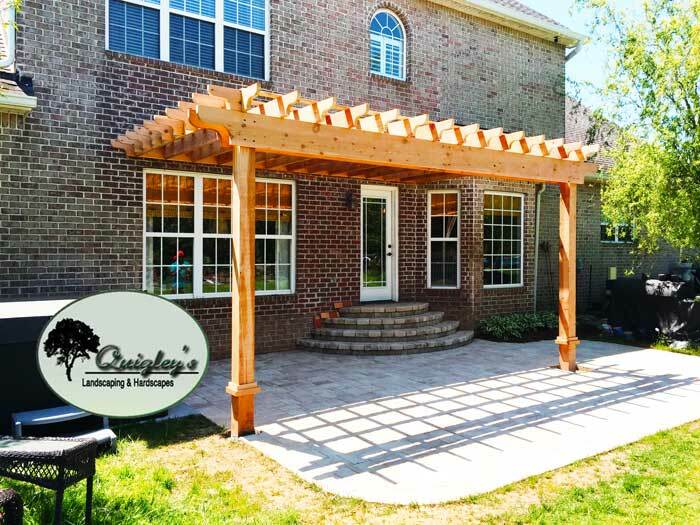 Nashville Arbors and Pergolas for your home. All of our pergolas are made with cedar and come with a 1 year warranty. You can have the pergola stained or unstained. Pine warps over time but cedar holds its shape the best, smells great, and is the best looking. Take a look at the four photos below of a pergola we installed, the first two images are of the unstained unfinished pergola and the next two are of the completed stained cedar pergola. 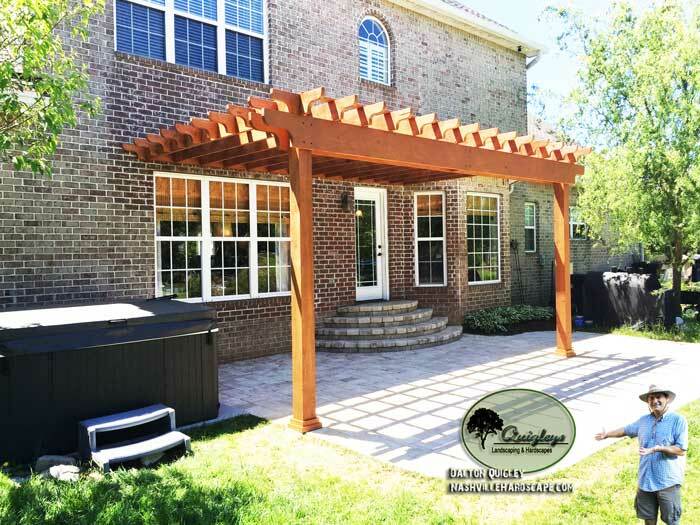 Visit our Contact page to get an estimate on your new cedar pergola -> Contact page. It is a Pergola below if it is attached to a home. If this Pergola were separated from the home it would be an arbor. 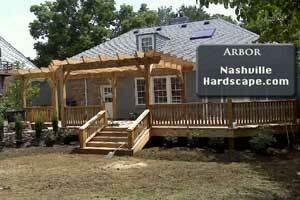 We are Arbor and Pergola Builders in the Nashville Tn area. We install pergolas and arbors with stone. 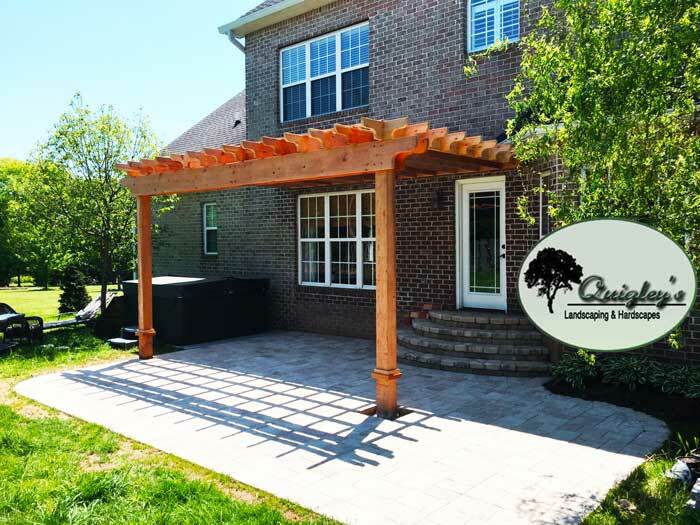 We provide Arbors and Pergolas to the Nashville Metro area and surrounding counties. We service Green Hills Tennessee, Tennessee, Murfreesboro, Smyrna, Brentwood, Franklin, Hermitage, Leipers Fork, Thompsons Station, Belle Meade, Green Hills, Kingston Springs, Brent Meade, Oak Hills, Almaville, Fairview, Forest Hills, Nolansville, Mount Juliet, and these counties: Williamson County, Davidson County, Maurey County, Rutherford County, Wilson County, Dickson County, Hickman County, and Marshall County Tennessee. West Nashville, East Nashville, North Nashville, South Nashville, North, South, East, West, Nashville area. Do you need an Arbor or Pergola? This project was done in 2009 in Nashville Tn as part of an overall back yard landscapoe design. 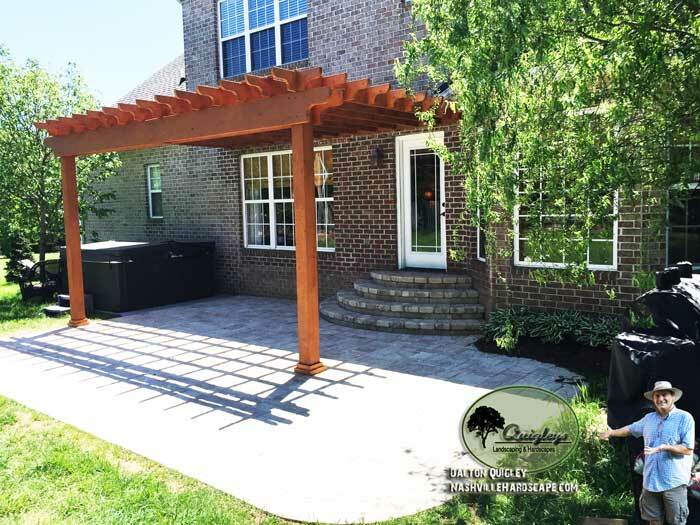 All cedar both the deck and Pergola.A Pergola is an attached Arbor.You may need a Nashville Landscape Design. You may need a Nashville Landscaper. 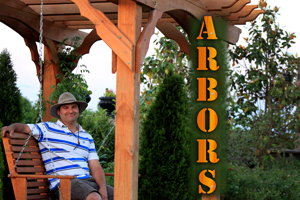 We will build your Pine Arbor or Cedar Arbor. Do you need an Arbor or a Pergola?